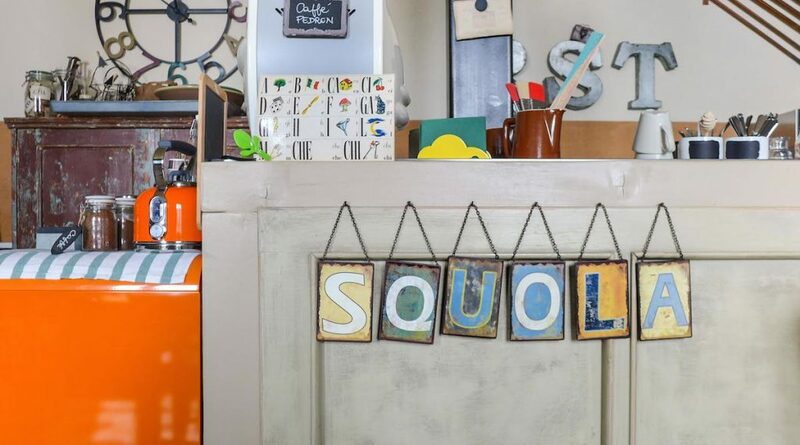 La Scuola is an old school from the ’20s turned into a maison d’hôtes that, with its cool retro atmosphere, will definitely tug at your heart strings. 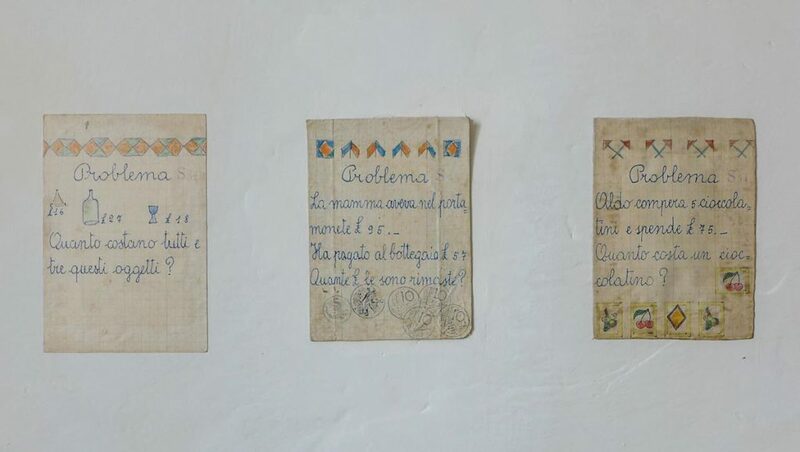 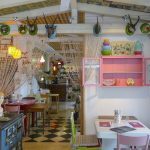 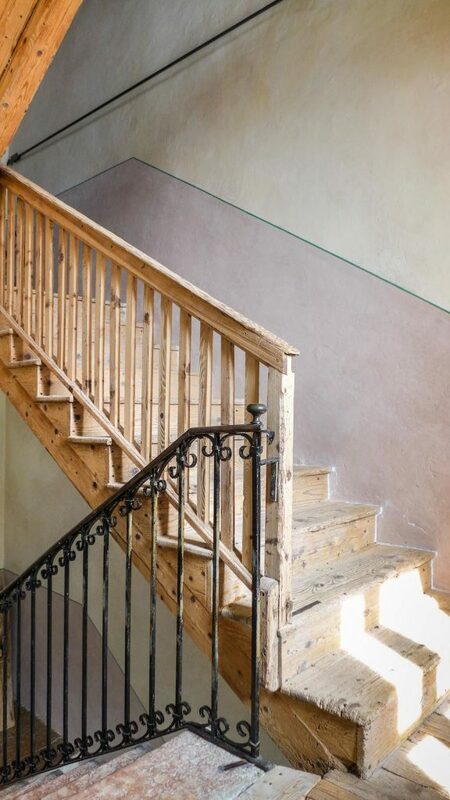 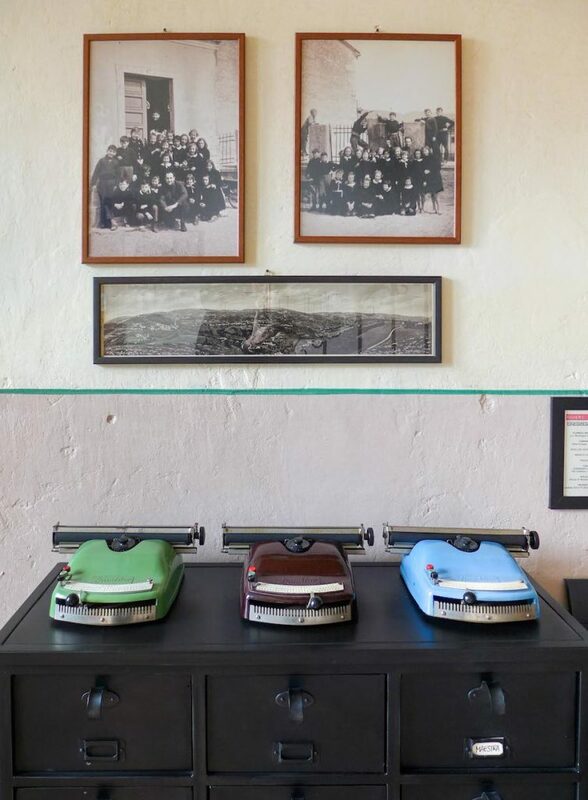 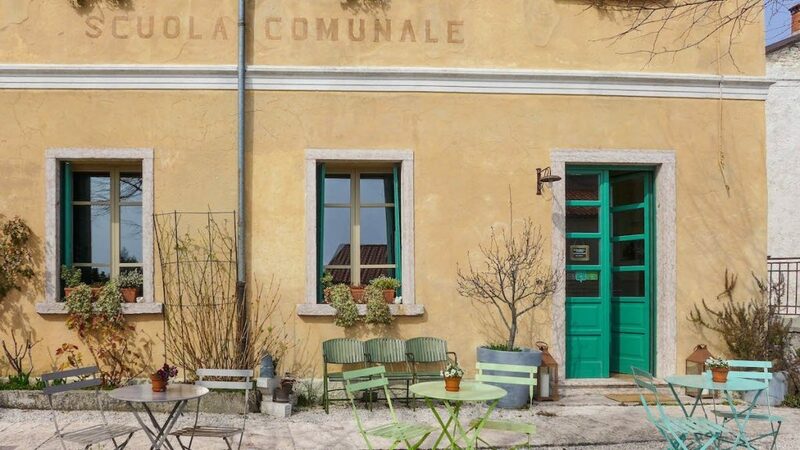 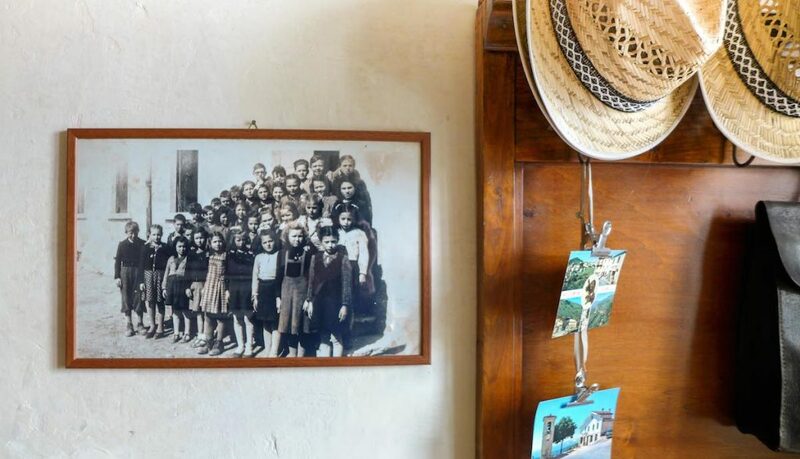 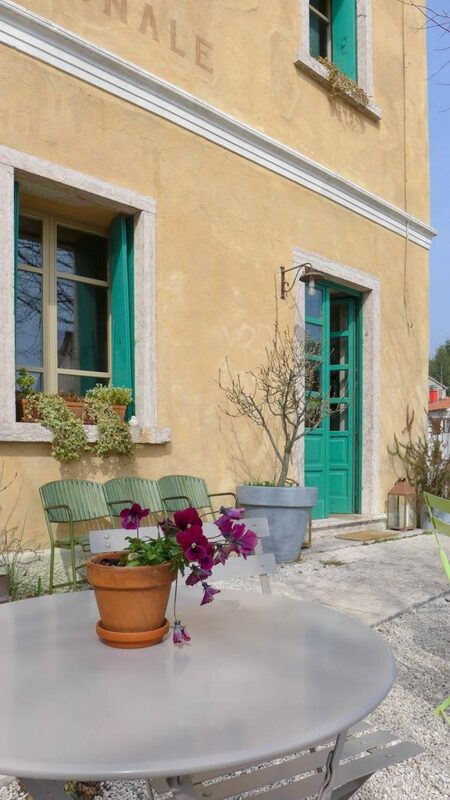 Located in the tiny village of Lusiana, in the province of Vicenza, the “Bed & Brunch” was founded in 2013 following the dream of Valeria and Marco who, thanks to a passionate restoration, managed to keep intact the charm and features of the old structure, conserving the beautiful original tiles, wooden floor, doors & windows. 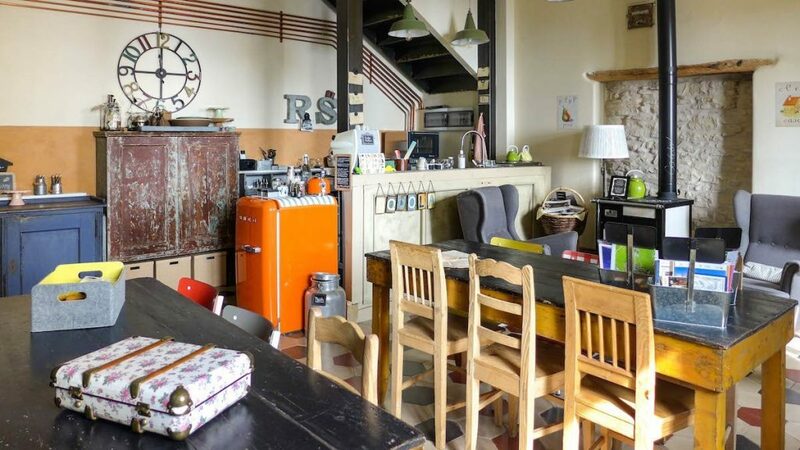 The interiors are decorated with wonderful details that take us back in time to a world made of wooden desks, colored chalks and starched aprons, while in the background the radio plays some cool music from the ’30s that wraps everything in a magical atmosphere. 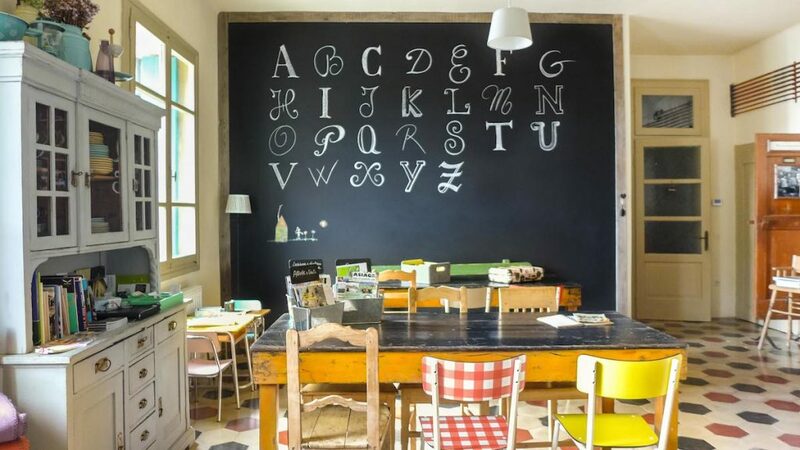 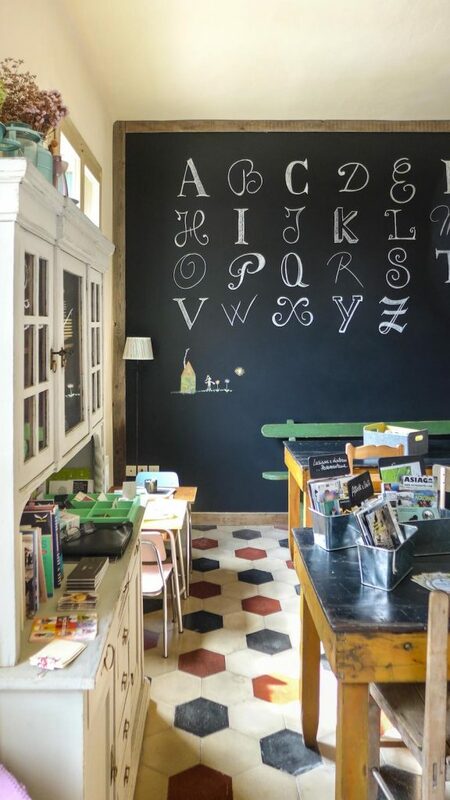 In the former classrooms, today we find the Alphabet Lounge where a giant chalkboard, decorated with typographical letters, mixes with old wooden tables, retro cupboards and contemporary industrial design objects. 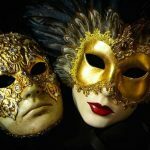 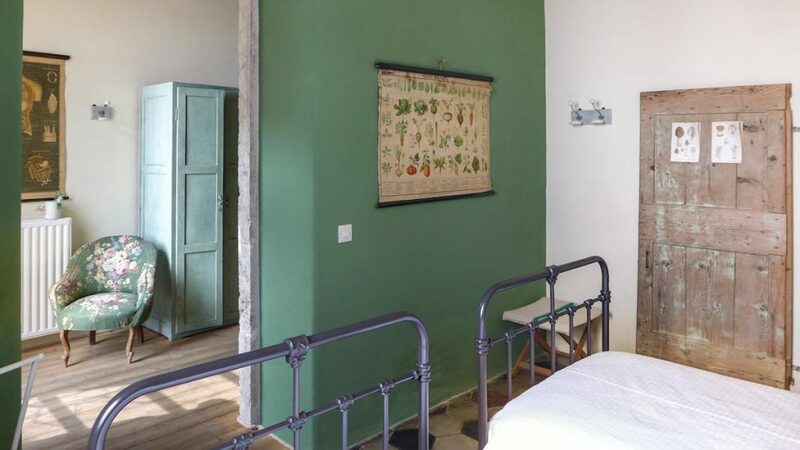 Four of the rooms are inspired by different school subjects: Geography, History & Literature, Arithmetic and Sciences, whilst the fifth one, Maestra (Teacher), is a cosy loft where the teacher used to stay overnight when she was unable to return home. 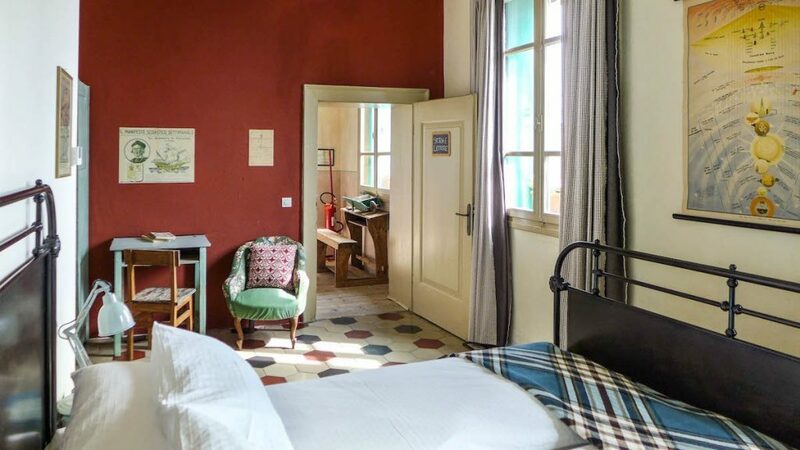 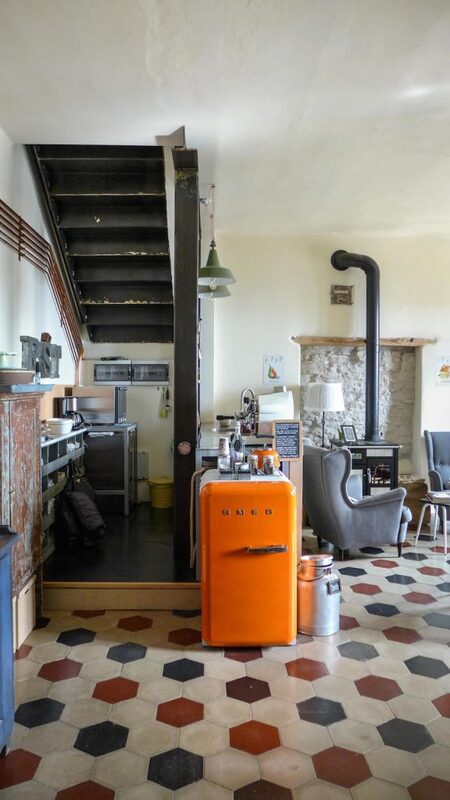 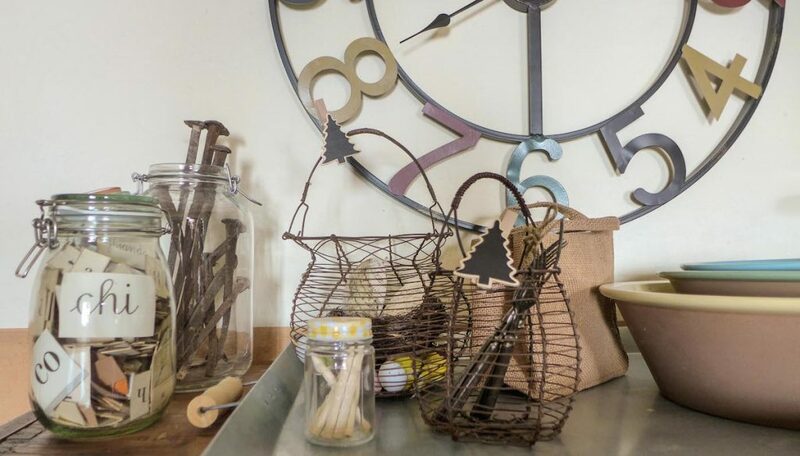 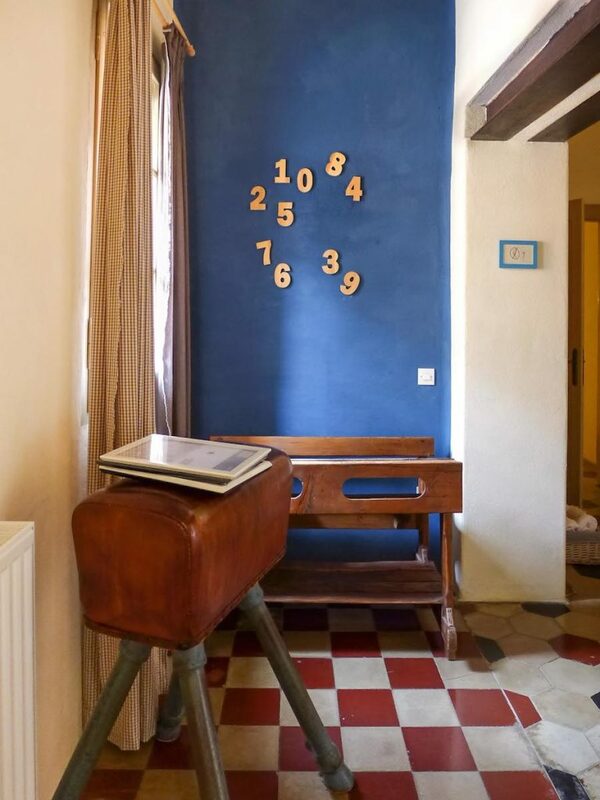 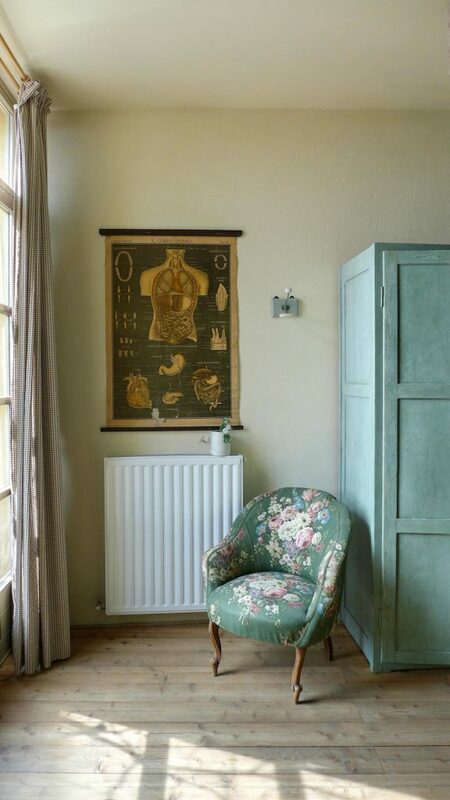 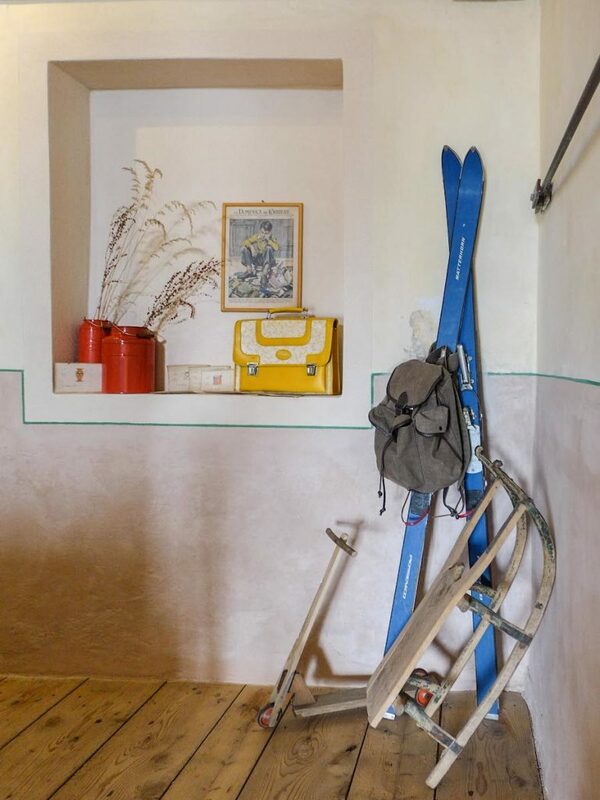 Each room is uniquely decorated with furniture and details that recall the vintage world of school sourced from antique markets, bought from private collectors or even donated by former students, proudly happy that “their” school lives on…in joy and glory! 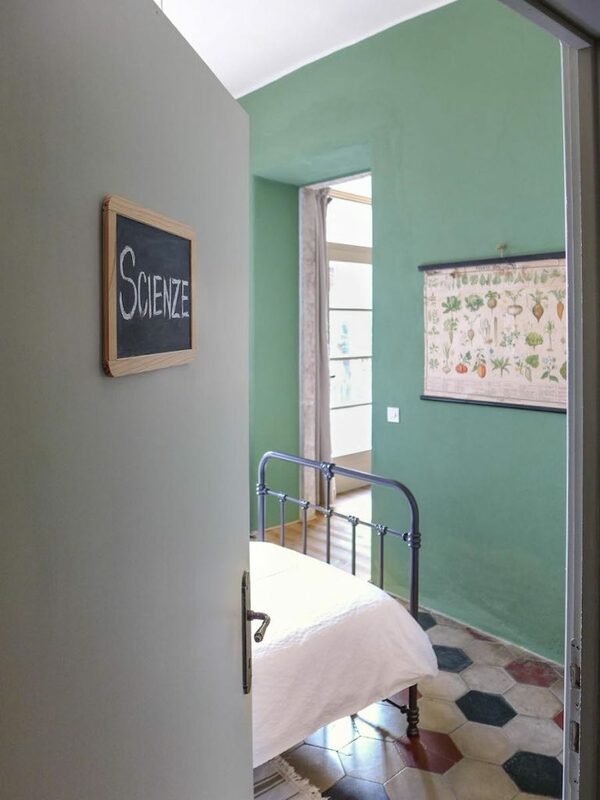 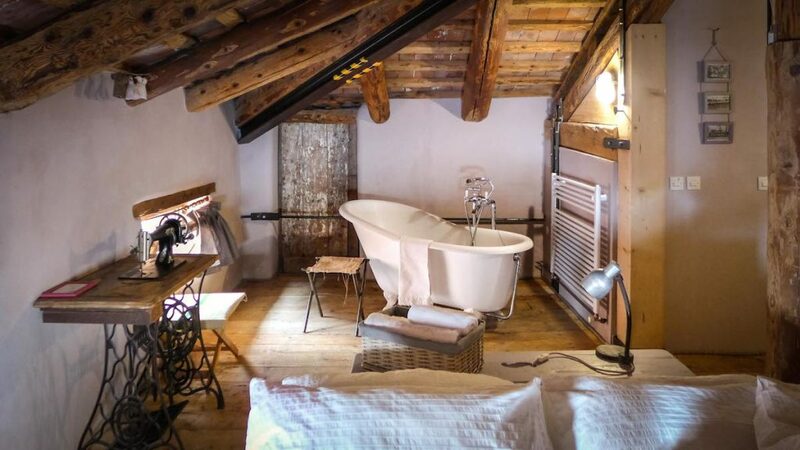 How: book the Aritmetica (Math) or the Scienze (Science) room if you are staying with your children (as they feature extra beds), or the naughty Maestra (Teacher) with a beautiful Belle Époque-style bath tub, just perfect for a romantic stay. 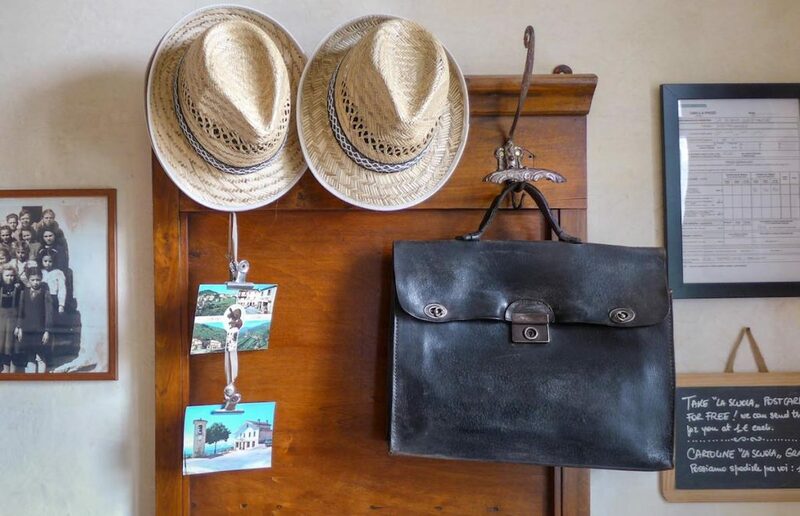 Ask Valeria for advice about nearby things to do and places to visit; upon request, she can prepare a picnic basket to take with you on your outdoor adventures.